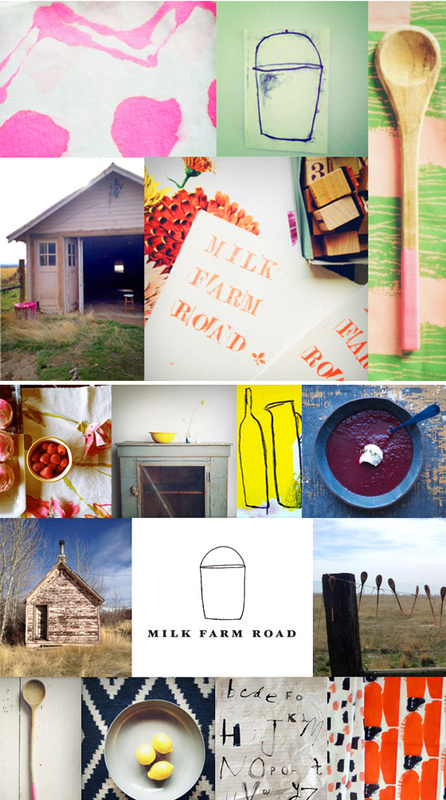 I came across the lovely website of Milk Farm Road, a collaborative online artists shop from artist and stylist Heather Chontos that hosts monthly design events featuring handmade and vintage items. Oh, so lovely. And a contrast to your last gorgeous monochrome post. This place will occupy some of my Friday. It’s terribly cold and the studio is a little too chilly for me to be happy working out there :-(((( So instead I’ll catch up on blogs and stay cosy by the fire. It’s a sunny but bitterly cold day. Lots of snow.